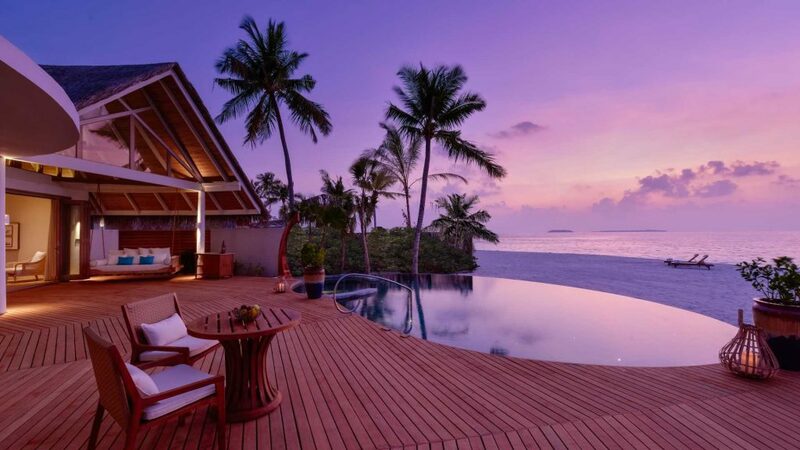 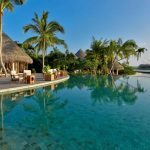 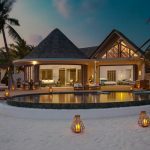 An understated take on luxury, Milaidhoo focuses on the natural beauty of the Island, with an exotic marine protected house reef, just metres from the beach. 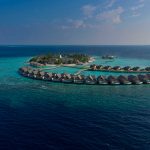 This reef is the only UNESCO protected reef in the Maldives, home to dolphins, whale sharks, manta rays and more. 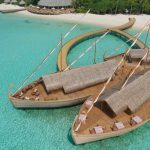 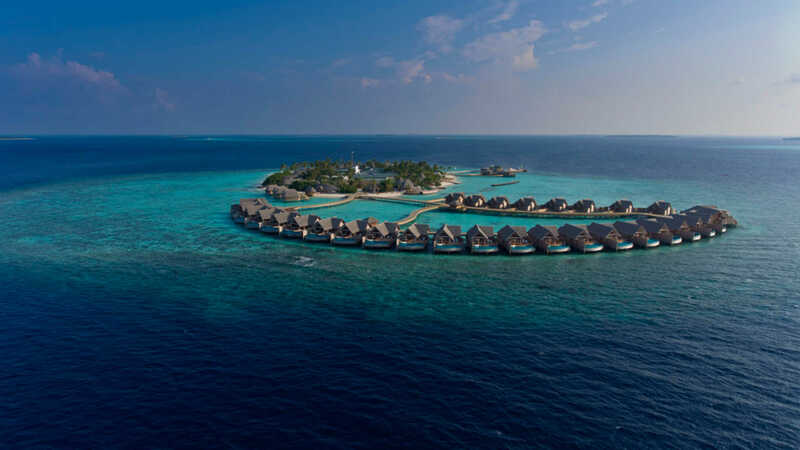 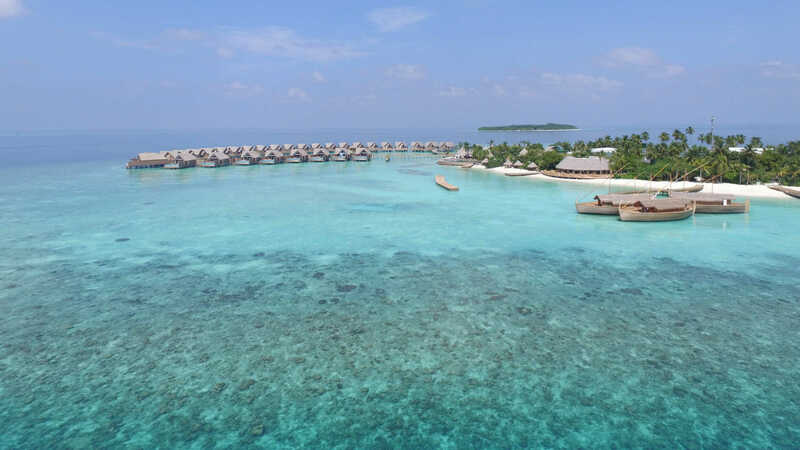 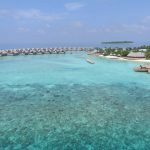 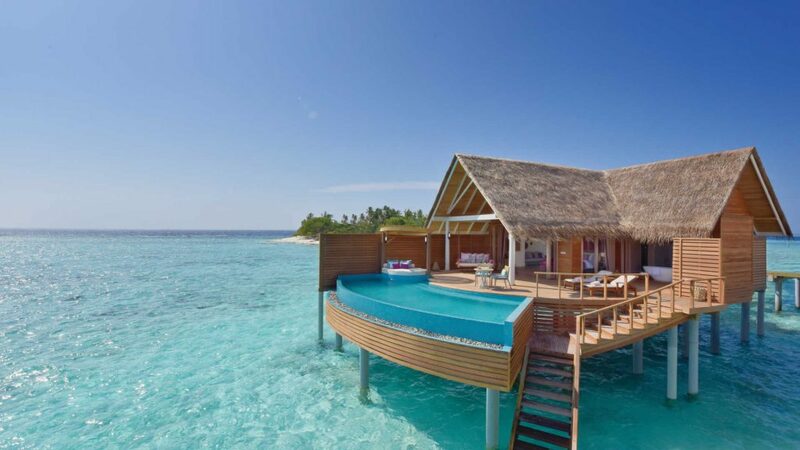 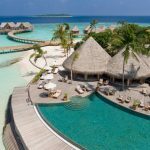 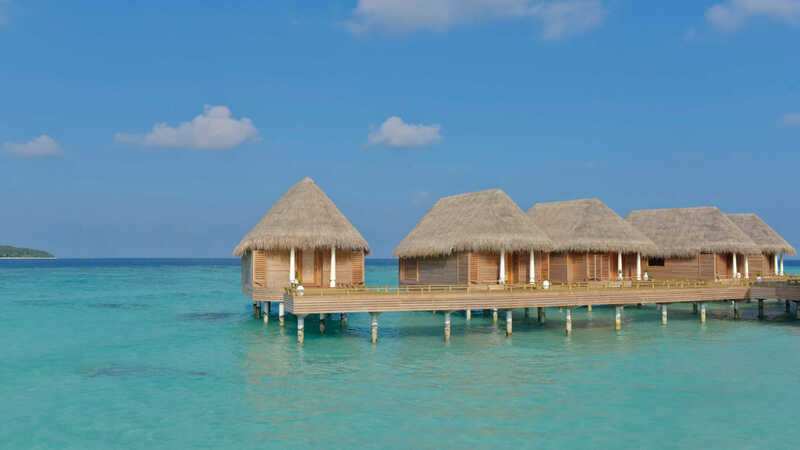 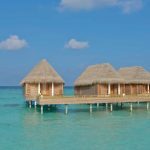 With a barefoot luxury vibe, this relaxed resort makes the perfect thoughtfully designed atmosphere to enjoy the natural wonders of the Maldives from. 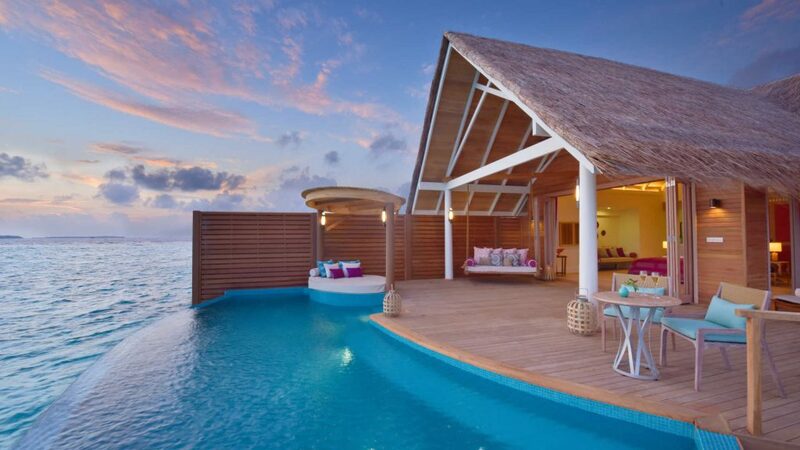 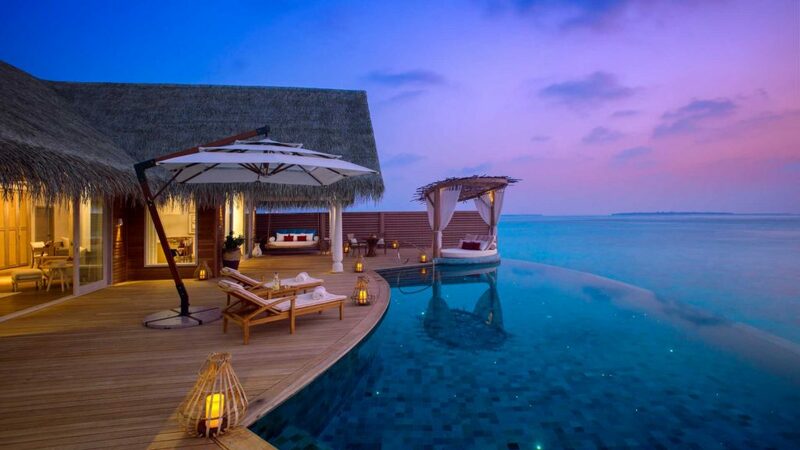 A generously spaced villa sitting atop the azure water of the ocean. 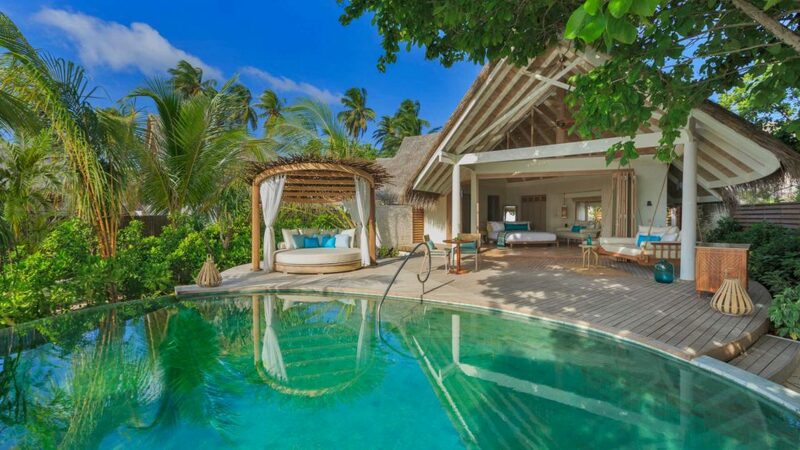 The villa features a large deck and private plunge pool. 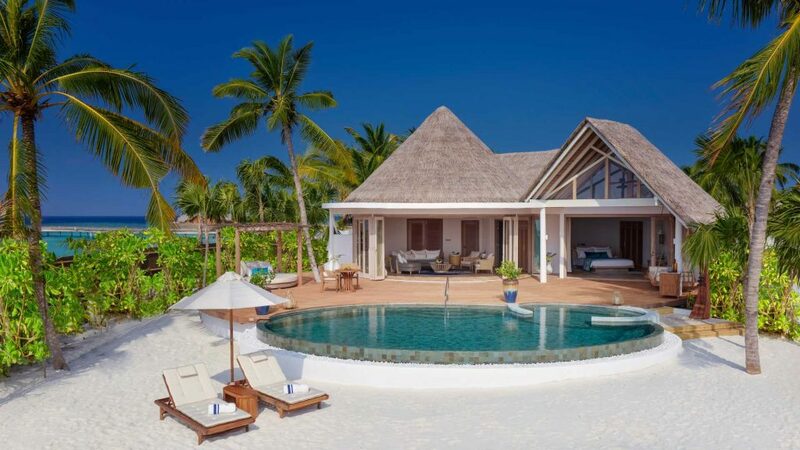 The gorgeous villas scattered around the beachfront, only a few steps away from the around. 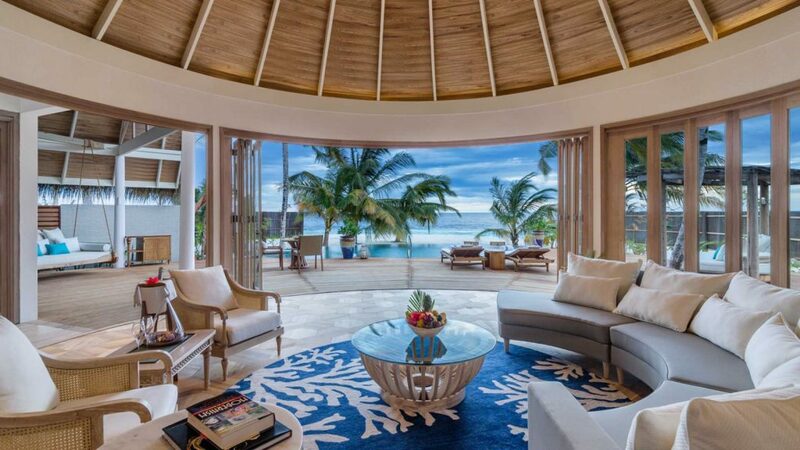 The interior space is open creating an airy open plan living space, that gentling combines the outdoors with the cosy indoors. 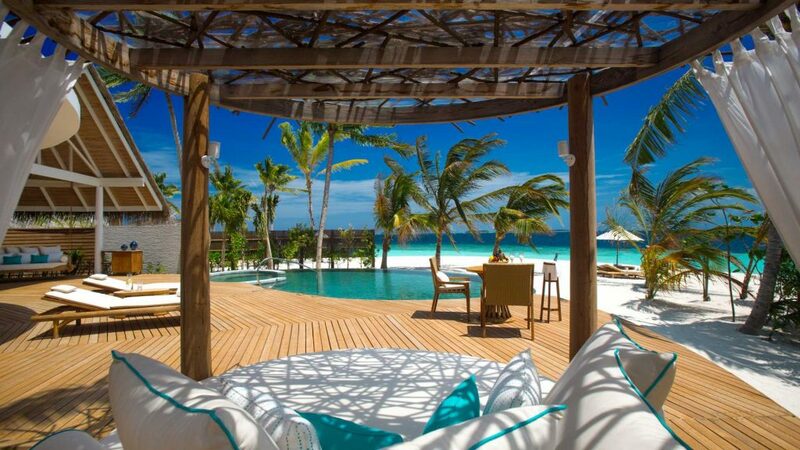 The two exclusive beach residences, each have their own stretch of beach, with the water only steps away. 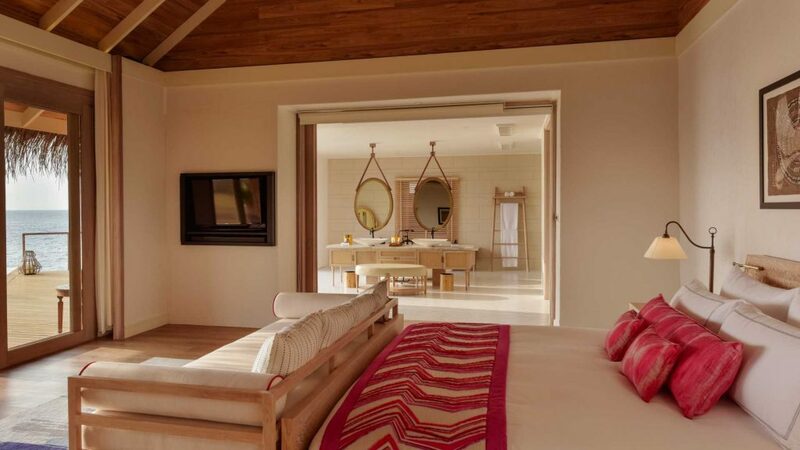 Each residence features a separate bedroom and living space, and a dedicated butler and personal chef. 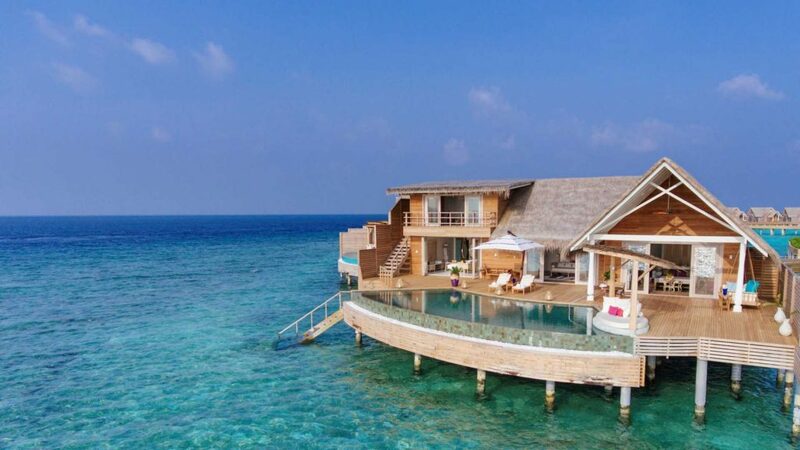 The ultimate in luxury, the ocean residence is sat at the end of the jetty, offering privacy above the beautiful sparkling Indian Ocean waters. 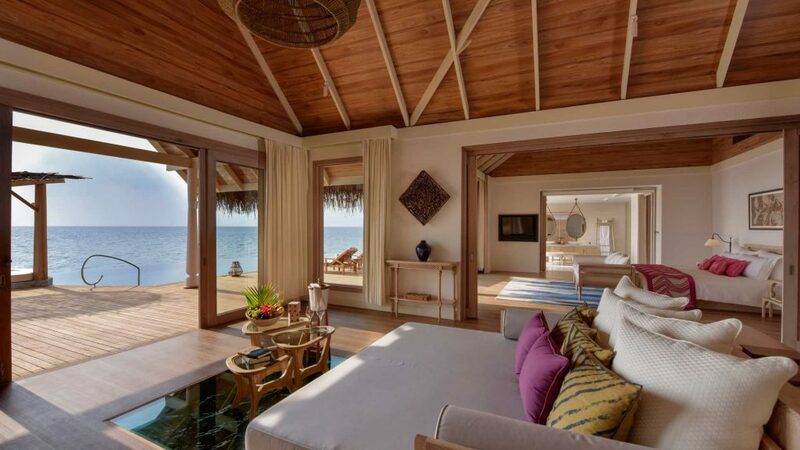 This residence features a separate living space, bedroom, bathroom, balcony and pool deck. 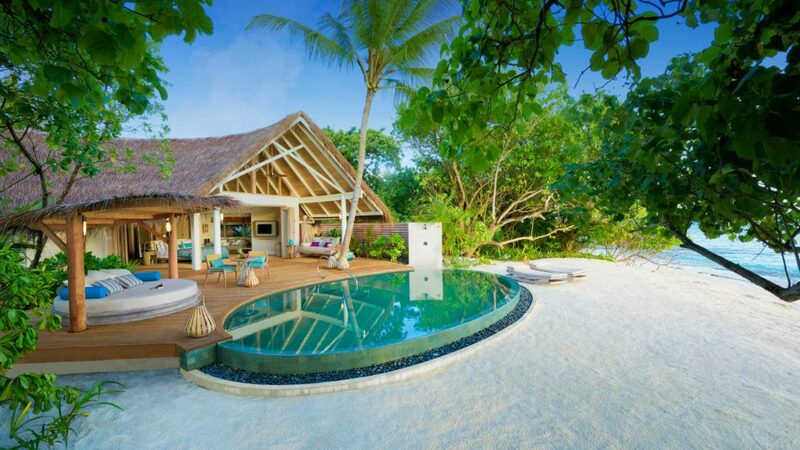 This residence also has a dedicated butler and personal chef. 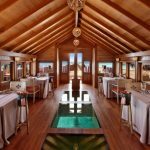 The Serenity spa and wellness centre uses world-renowned natural extracts and traditional techniques as a holistic, all-natural, and authentic approach to wellbeing. 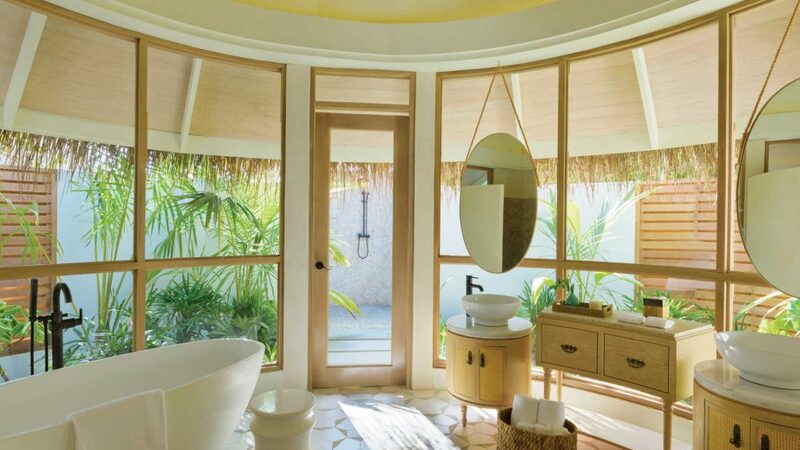 The spa also hosts daily yoga and meditation sessions. 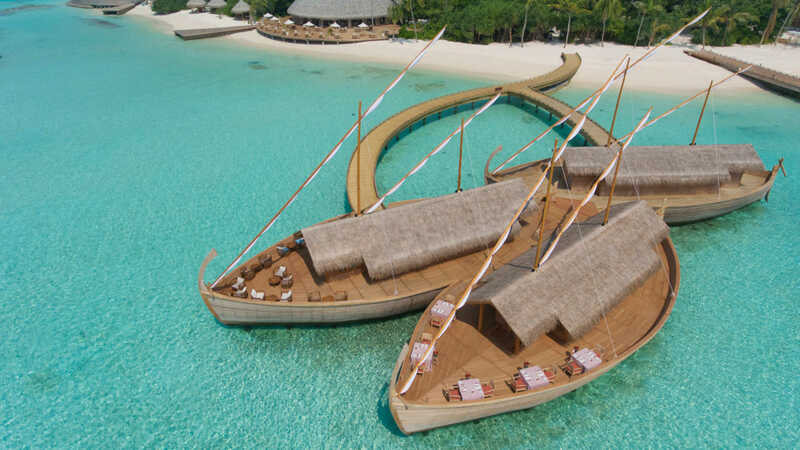 The impressive Ba’theli sits over the water and is inspired by local architecture. 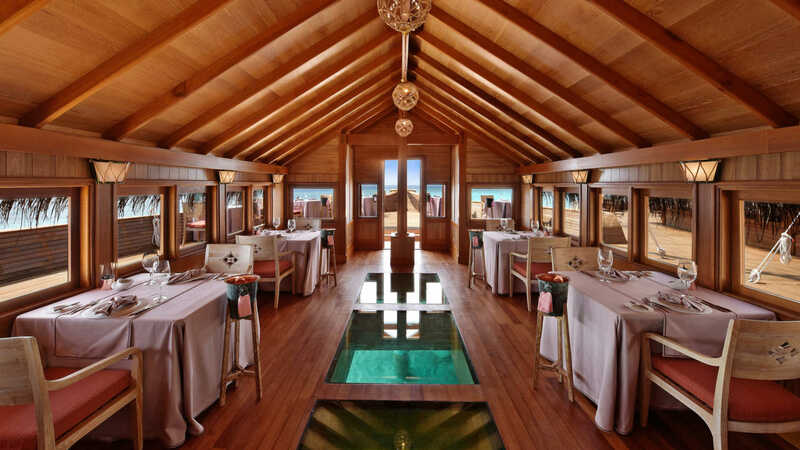 Ba’theli is the perfect place for an intimate romantic dinner, serving modern island-inspired cuisine. 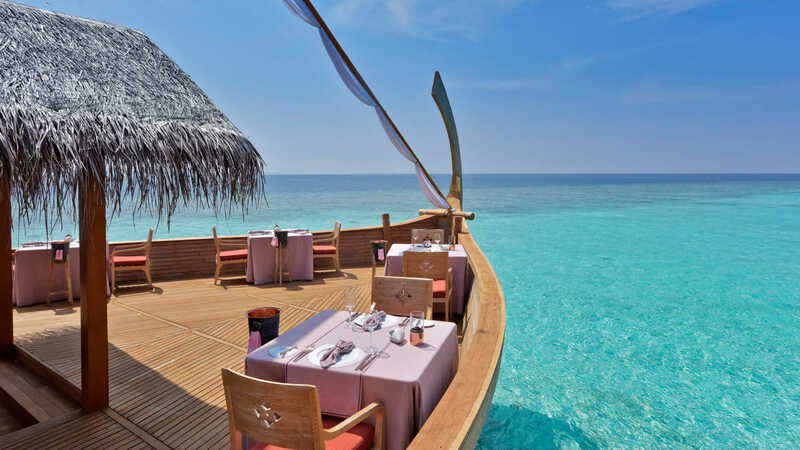 Situated at the water’s edge, the Ocean serves fresh and tasty dishes with a friendly relaxed atmosphere. 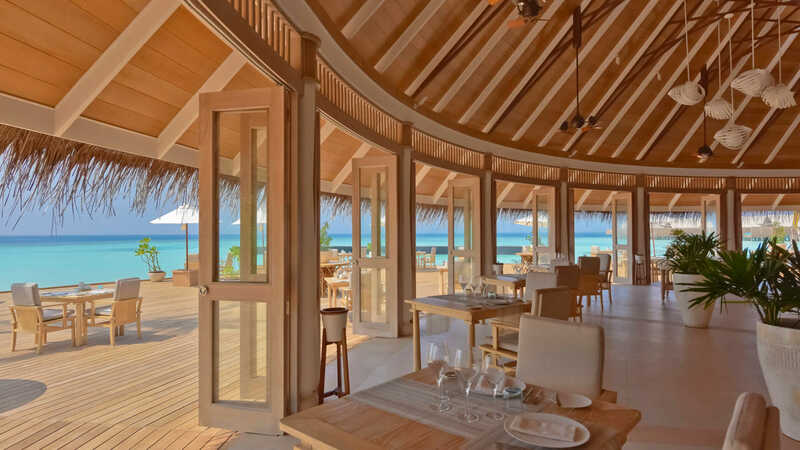 The Shoreline Grill specialises in serving premium meat and local fresh seafood, this is also home to the chef’s table and wine cellar. 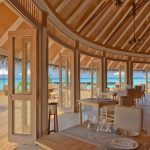 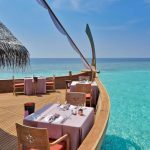 Milaidhoo offers both a Half Board and a gourmet All Inclusive dine around meal plan. 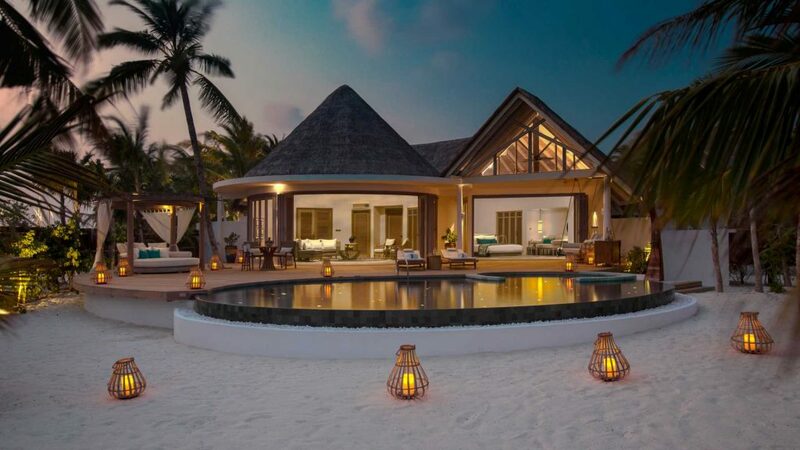 One complimentary 60-minute spa treatment for two during the stay, one private and romantic 3-course candlelit dinner on the deck of the villa, naming a star after the couple with souvenir certificate of the star, cake on arrival, romantic bath with flower petals, candles and a complimentary bottle of champagne with chocolates. 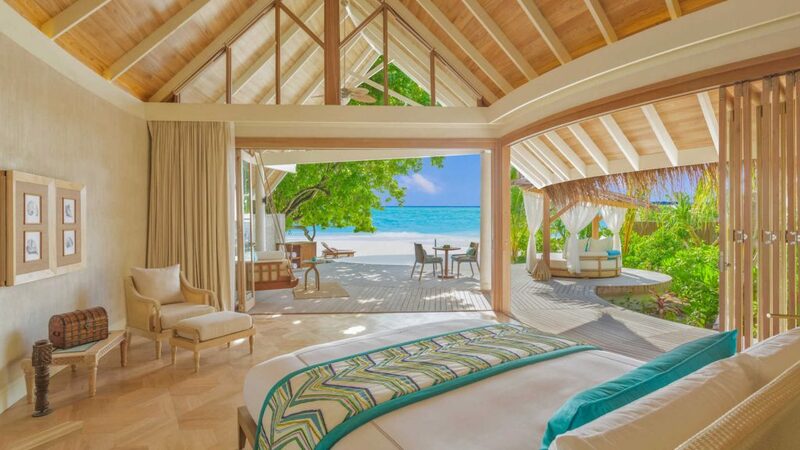 For honeymooners travelling within 6 months of the wedding. 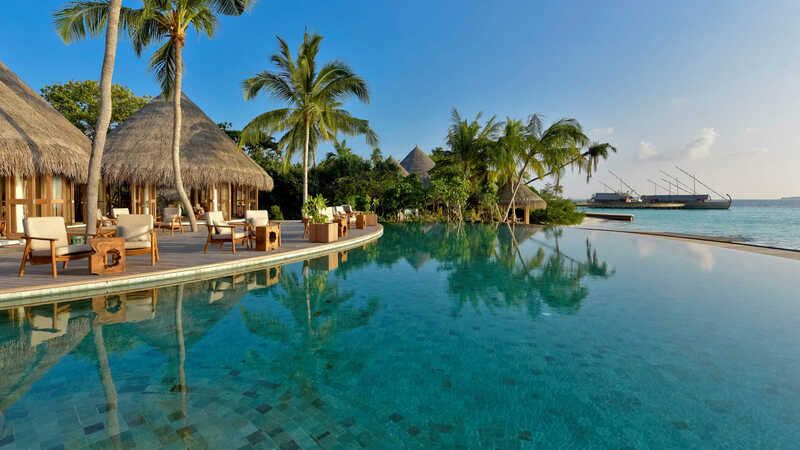 A copy of the certificate may be requested to be shown to resort. 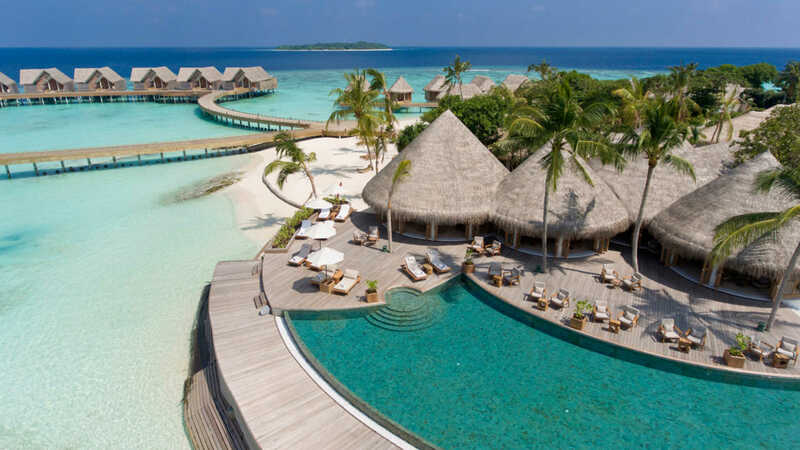 Valid to 10JAN on all meal plans and in all rooms.